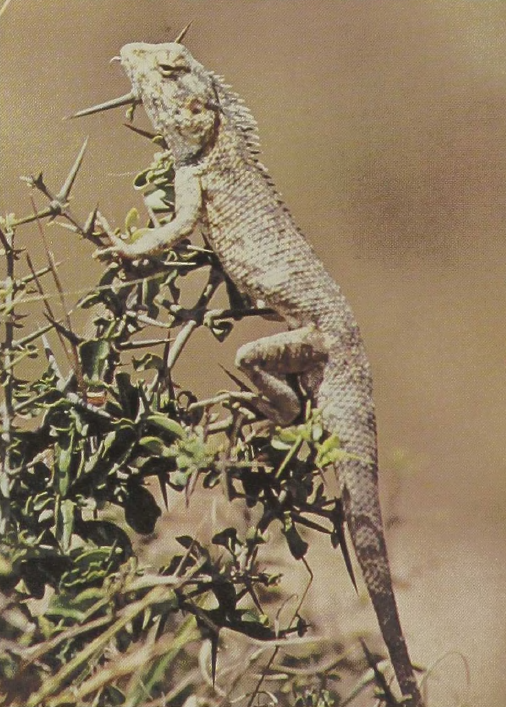 The tree agamas, to which the inappropriately named and harmless Blood Sucker belongs, range from Afghanistan to New Guinea well across the Indo-Malaysian region. The males of this highly arboreal group of lizards are a rust brown except when they are excited during the mating season, when the head of the 16-inch-long Blood Sucker assumes a brilliant-scarlet color as the males display to each other. The sight of two males rushing around palm trunks while bobbing at each other and flashing their throat flaps is truly impressive. 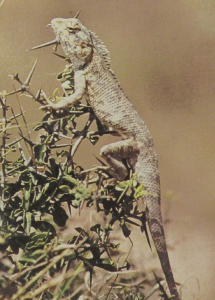 Most tree agamas feed on insects and lay eggs which are buried in the ground. All of them are diurnal.